It sounds cynical to say every day is a competition but, like it or not, now more than ever it’s true. Job seekers aggressively compete for fewer positions, employees compete for promotion and recognition, and executives and entrepreneurs compete fiercely for resources, talent, and market share. Every day, everyone gets up and enters the ring. A small number of people are better prepared than others – the winners, the gladiators, the lions. Most others go into battle unexpectedly, armed with just their wits and without a clear picture of the rules of battle. These poor souls are sadly doomed to a work life of disappointment and mediocrity. You don’t have to be lion fodder. 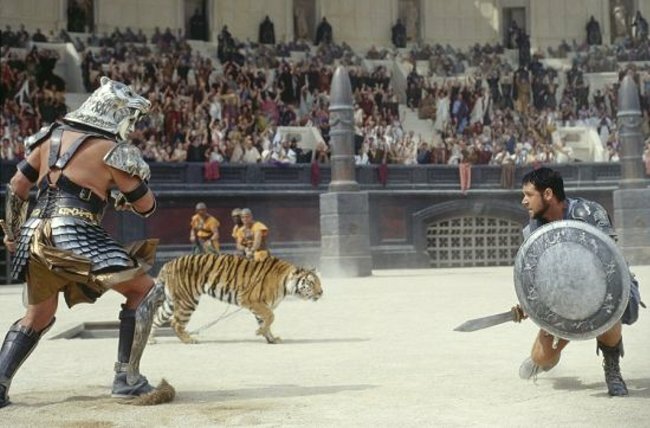 Here is a gladiator guide that will make you a fierce competitor in the ring. Learning to respect your competition is the first rules of doing business online. Hubris will surely get you killed in the ring. Dismissal and disparagement of your competitors will only keep you from identifying and addressing your weaknesses. Always assume that your competitors are smarter, better, and more creative. This way, the pressure is on them to meet expectations, and a victory elevates your position. Who cares if you trounce a weakling? The world is much more impressed if you, as David, take down Goliath. Often days are so busy that it’s tough to find time and energy to think outside the box. In fact, most people try and create routine to make their job easier. If only your competitors were doing the same. You can beat them by dedicating time and energy every week to creative exploration of your current products and process. Learn how to deconstruct an idea or the status quo, and you’ll constantly come up with new and exciting ways to impress those around you. Who goes to battle supported by an empty armory? Losers, that’s who! Make no mistake, this is war, and you need every resource you have to win. That means the knowledge you have in your head is probably insufficient to win. Look around; there are online resources that can help train and prepare you to be battle ready. All you have to do is proactively explore. There are people who can help you learn and connect with other powerful people who can give you a major competitive advantage. All you have to do is ask. Don’t be an unprepared force of one. Build a well-trained army to snuff out the competition. There is nothing wrong with being proud of the ideas you generate, but just because you love your concepts doesn’t mean they will work. Be self-critical, and be open to criticism from others. Don’t get emotionally attached to new ideas or stake your reputation on them. Be ready to happily walk away from seemingly good ideas that won’t generate maximum profits. That way, you’ll always strive for improvement and inspire your team to do the same. Business lions feast on mediocrity. If you simply strive for good, or just good enough, you will quickly be consumed by the competition. And being great simply allows you to stay in the game with the other great competitors. Strive to create a memorable experience, gain attention with the unexpected, and surprise your audience in awesome ways. In business, survival is not an admirable or desirable goal. Of all the rules of doing business online, winning is most important. Winning consistently in competition requires sound strategy and flawless execution. You can’t just rely on raw talent. You must give time and thought to all aspects of the game and constantly adjust to gain advantage. There is little room for niceties that don’t create a competitive advantage in some manner. Don’t hold back on your efforts, this is not the venue for conservatism. Come well prepared. Be strong and bold. 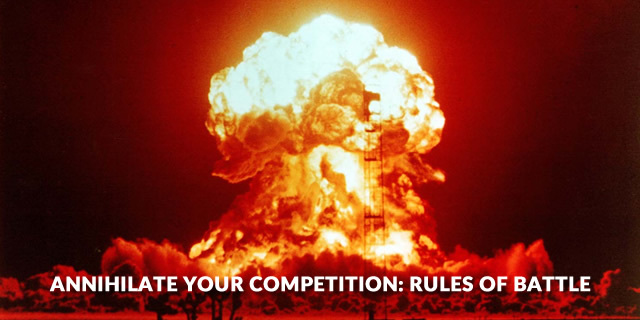 Annihilate your competition! Daniél is an über-diverse IT Consultant with 30+ years experience as Sr. Programmer/Analyst/Mgr coding mission critical apps on all major platforms, 25+ years developing e-Commerce sites with best-practice SEO strategies, 20+ years Cyber Security Expert (CSX) eradicating Zero-Day Malware, Spyware, Viruses, and Hacker infestations from compromised systems, and an Advanced Architect of multi-layered Web Application Firewall Infrastructures for large-scale Internet Servers.